The paintings, ceramics and jewellery of Lyn Beckett and Rob Howard can be viewed and purchased at Sòlas Gallery in Gairloch, Wester-Ross. Visiting the gallery you will receive a warm welcome from the artists in person. Sòlas Gallery Opening hours 2018. In general we open from Easter to the end of October - closed Sundays. Outwith these hours we will probably be around so please do not hesitate to try us on 01445 712626 - we will be pleased to help. 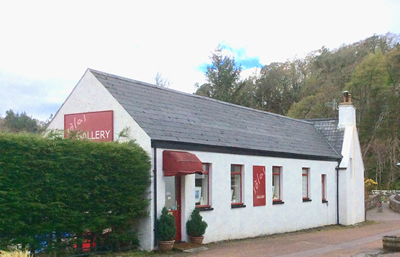 As you enter Gairloch on the A832 from the south Sòlas Gallery is at the beginning of the village on the right next to the Old Inn restaurant and hotel – look for our distinctive red signs. From the North stay on the main road through Gairloch village and after passing the Golf course on your right turn into Flowerdale car park on your left and walk over the foot bridge. Either: look for the Old Inn under restaurants or hotels – we are next door! 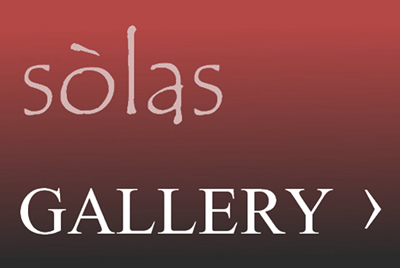 Sòlas Gallery is on the A832 which is now part of the new celebrated NC 500 the beautiful scenic route through Gairloch and North Scotland.